Combining cutting edge scientific techniques with ancient holistic principles, the Perfective Ceuticals skincare line brings something new to the ever-burgeoning world of anti-aging skincare products. The intriguing collection aims to diminish the visible signs of aging through its unique ingredient formulation. Together, they work together to combat everything from thinning skin to hyperpigmentation. Of course, anti-aging skincare products are nothing new, and we recognize how important it is to choose the line that is best for one's skin type. We spoke with Catherine Lee, General Manager at Perfective Ceuticals, to learn more about the collection, what makes it stand out and how it can make a difference in the skin's condition. LoveToKnow: Thanks for taking the time to answer some questions! 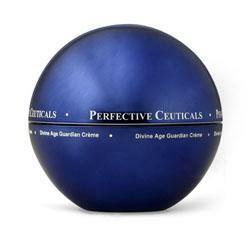 Tell us a bit about how Perfective Ceuticals got its start. What was the inspiration behind the line? Catherine Lee: Perfective Ceuticals specializes in research and development and manufacturing skincare formulations for both professional and home use. A biochemist from Perfective Ceuticals bought a children's storybook called Grace and the Magical Birds for his daughter on her birthday. The storybook used the ancient premise of emu's magical properties, skincare and healing being chief among them, and incorporated it into a tale. It inspired Perfective Ceuticals to develop a skincare line, whose ingredients are extracted from natural resources that contain elements with a bio-chemical effect on the skin. LTK: There's a real scientific approach to the Perfective Ceuticals lineup. What are the specific functions of their ingredients that make the products stand out from other anti-aging products on the market? CL: Perfective Ceuticals' Divine Age Guardian line differentiates other anti-aging products on the market by blending various peptides with growth factor (which suppresses the release of cytokine - this causes degradation of the skin matrix and helps accelerates collagen and elastin renewal). The combination of various peptides and growth factor creates the synergy to facilitate effective results in reducing the signs of chronological aging of the skin. LTK: The company touts its use of holistic wisdom in creating the lineup. Can you tell us more about how this played a role in the line's inception? What holistic elements are involved? CL: Emu oil has been used for thousands of years by the Australian aborigines for the treatment of burns, wounds and bruises, to relieve symptoms of eczema and to aid in reducing scar formation. 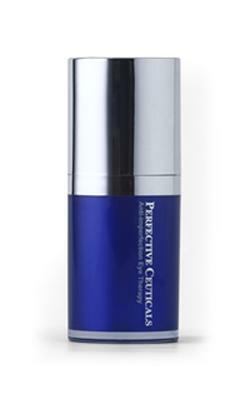 Perfective Ceuticals utilizes the holistic wisdom from the Australian aborigines by incorporate it with the most advanced skincare ingredients and technologies to further enhance the moisturizing and penetrating properties of the products. Any inflammation related to sun exposure and the visible signs of photo-aging can also be reduced. LTK: Do you recommend that a certain age group use the products? Is there any particular product that is better suited for an individual who is just starting an anti-aging regimen? CL: Perfective Ceuticals recommends the products be used by individuals in their late 20s as a preventative measure for both the intrinsic and extrinsic factors of skin aging. For an individual who is just starting an anti-aging regimen, Perfective Ceuticals recommends the Anti-Imperfection Eye Therapy with Growth Factor and Divine Age Guardian Serum with Growth Factor. LTK: In addition to a strong skincare regimen, what can individuals do to preserve the integrity of their skin and keep it looking its best over a longer period of time? CL: To preserve the integrity of the skin and keep it looking its best, individuals should minimize sun exposure and protect the skin by applying sunscreen of SPF15 or higher prior to being exposed to direct or indirect contact with the sun. Getting adequate nutrition and staying away from excessive alcohol, smoking, fatigue and stress also play a big role in ensuring the wellbeing and longevity of the skin. LTK: What is coming up in the future for Perfective Ceuticals? CL: Perfective Ceuticals is coming up with a phototherapeutic beauty device for professional use and a skincare line targeted for age spots, liver spots and hyper-pigmentation.